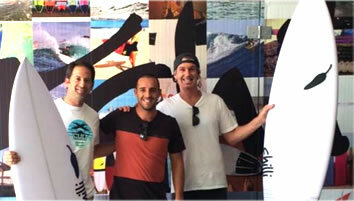 We are a surfboards factory based in Cascais, Portugal. From shape to spray, we provide every production services board manufacturing requires. We benefit from high credentialed workmanship and groundbreaking technology to produce over 200 boards/month. 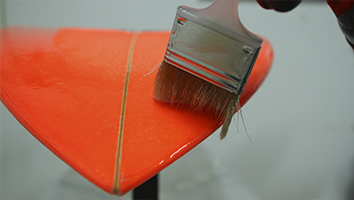 We also pioneer the use of new materials and techniques in surfboard building. Our core business ranges from surfboards to skimboards, including stand-up paddle, kitesurf, wakesurf and wakeskim boards. We provide top-of-the-range boards suitable for all kinds of wave conditions and performance approaches. If you can ride it, we can build it. We currently manufacture and represent WANTED Shapes, Chilli Surfboards, Rusty Surfboards, Town & Country Surfboards, JR Surfboards and Rskimboards in Europe. We also provide (full and partial) services to private labels, surfshops, corporate and private clients. To deliver high quality and high performance boards by using top-of-the-range machinery, the finest materials and most effective practices in the board building industry. We build top quality boards for corporate or private customers. We carry on and oversee the board production for international brands operating in the European Market. We also supply local shapers with full or partial board building services, plus surfshops and companies who want to make boards under their own brand (logo).